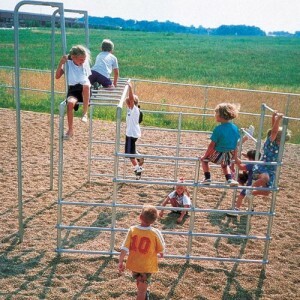 AAA State of Play Blog: How to Keep Kids Safe on Playgrounds? It becomes a daunting task for the parents to control their kids when they are in front of so many wonderful play sets in the playground. This raises the risk of getting injured on the playground. You must consider the following factors to be sure of your kids' safety in the park. It is one of the most important factors that you must consider. Before making children play on any of the sets, ensure that it is made of commercial grade material. Make sure the play set has been constructed in adherence with the guidelines defined by ASTM and CPSC. Keep a strict check on kids in the playground. Make sure they do not get involved in any unsafe activity while playing on the play equipment. Children goes beyond the safety line on equipment like dome climber. You must assist them when needed so that they do not hurt themselves. Take your kids to the playground which has superior quality mulch on the ground or just under the playground equipment. Mulch allows reducing the rate of injury in the playground. Recycled rubber mulch emerged out to be the best among all. It provides proper cushioning surface and prevents the risk of getting injured due to falls. There are different types of play sets installed in the park. Make sure your kid is playing on the set that is age appropriate for him. As it has now become imperative to categorize the play ground equipment as per the age brackets, you would easily identify the appropriate sets in the playground.